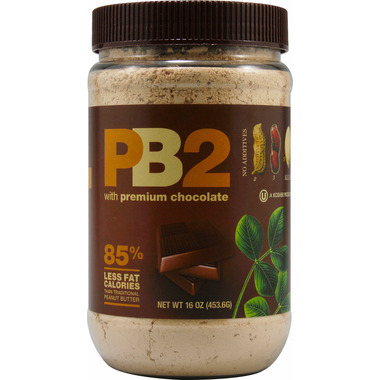 PB2 Powdered Peanut Butter combines healthy ingredients and everything you love about peanut butter to deliver a truly premium peanut butter. High quality peanuts are first slow roasted then pressed to remove the fat and oil. Then the finest cocoa beans are blended for a natural roasted peanut butter and chocolate flavour that's rich in taste, easy to enjoy, and wonderfully healthy. Always follow the label attached to this product for the best results! Love love love this stuff! Such a yummy treat and great for using in recipes. Great value with this big tub! Obsessed with this! Been using in my post workout shakes for over a year. Taste is not chalky at all. Highly recommend! I bought this as a healthy alternative to regular peanut butter and I was pleasantly surprised! Love it in my breakfast smoothies and my overnight oats. Really tasty, great when prepared as per instructions, with more water to make a pourable sauce, or added in to oatmeal. I love this product. I add it to yogurt and smoothies for a bit of extra fat and protein without the calories! I just started using this and I love it. I made rice crispie squares this weekend and used this with a little extra butter/margarine. My family loved them. This is great in smoothies as well. Love it! We use it in our smoothies. Delicious, convenient, and good for me!? Excellent product. I use in my overnight oats concoction. The powder is much easier to work with than regular peanut butter.....less fat too! It is a bit expensive but I only use a tbsp at a time so it lasts quite a while. It's amazing! I love it with apples, bananas, in wraps, everything! tastes better than peanut butter in my opinion!! This product is AMAZING!!! 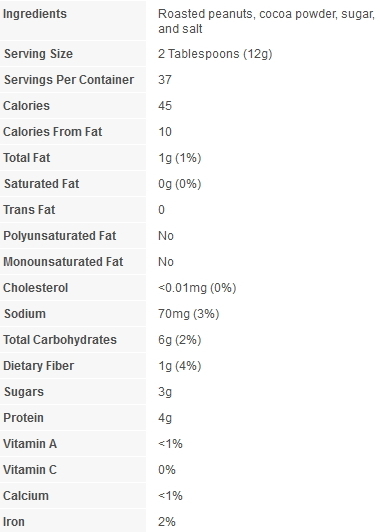 It tastes delicious and its low fat! If you like peanut butter you will love this! This is my go to snack! Easy to make, low in calories and really yummy! I eat it with home made ice cream, apple slices or just like that. Definitely will repurchase it!!! Excellent and versatile product! A must try for all!! This is excellent to add to smoothies to add flavour without all the added fat. I'd give it 5 stars except for the cost. Expensive, but a great treat and healthy too! Love it mixed into greek yogurt for a yummy apple dip. Love my PB2. Being a peanut butter fan was ruining my weight loss attempts bit with pb2 I get the same great taste with a lot less calories. I Love this peanut butter powder! I've been enjoying it for 2 years now....even my husband likes it! Great wisked into plain yogurt with a drizzle of honey and sliced bananas. Love this stuff. Tastes great in smoothies. Hubby even uses it to dress up his boring oatmeal. Awesome. Will buy again. Great taste, awesome for shakes! I love peanut butter and bought this product because more and more recipes call for powdered peanut butter as a key ingredient. With its major reduction in fat and calories but all the flavour, I use it reconstituted as a spread and in my protein shakes.